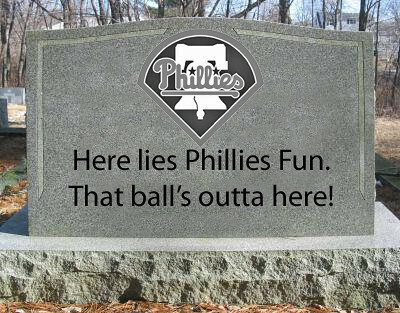 On Friday and Saturday, the Phillies and Mets played 14 innings each day. When the Phillies did not score on Sunday in the bottom of the 9th, groans could be heard all over the ballpark. Three days in a row of extra baseball from two teams that are battling it out for last place…what could be more exciting? A lot of things, apparently. The tone was different before the game started. It was a total love-fest, despite 2 days and 28 innings already played. 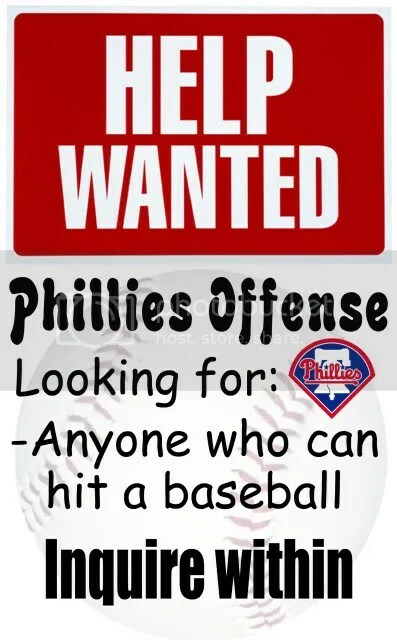 And with Cole Hamels pitching, there had to be hope for the Phillies. Ryan Howard hit a two-run homer in the 4th inning to give the Phillies a 2-1 lead. But it was all downhill from there. 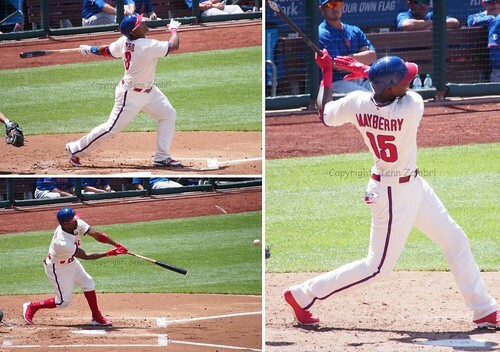 The Phillies played sloppy ball in every way possible. There were a few nice plays in the field, but also some missed opportunities. And the offense barely made Mets pitcher Jonathan Niese even break a sweat. It took him only 13 pitches to go through the first 2 innings as the Phillies were swinging at everything and either popping it up or dropping weak ground balls. 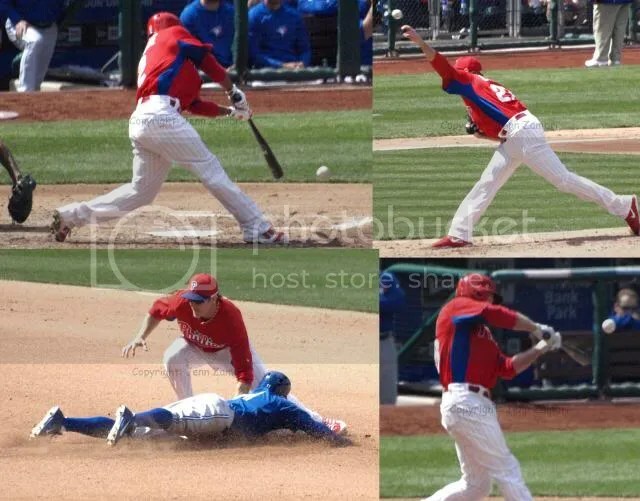 The worst play was in the 7th when, after a huge single to put a runner on 3rd base with 1 out, Domonic Brown got himself thrown out trying to reach second base. 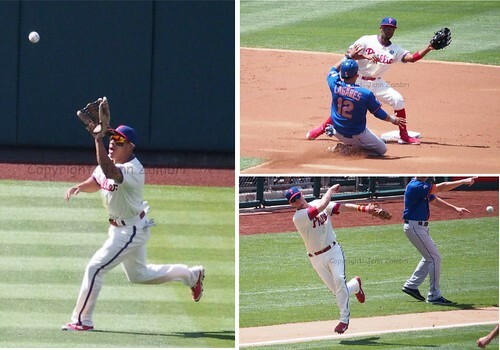 Ben Revere then grounded out, leaving the winning run on 3rd base. The bullpen was holding steady at least. The Phillies made a bunch of moves before the game to find fresh arms as all these extra-long games had depleted the pen. Jeff Manship went on the DL after hurting his quad in Saturday’s marathon game. 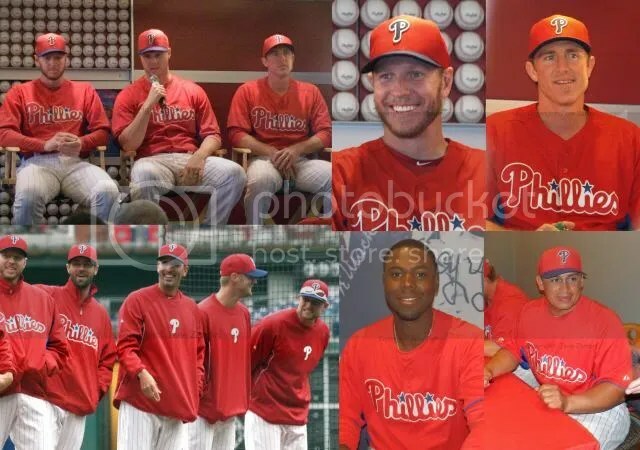 Phillippe Aumont and Cesar Jimenez were called up while Darin Ruf went back down to Triple-A to make room. 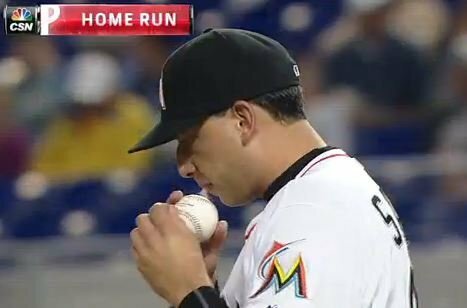 Jimenez pitched a scoreless 8th inning while Jonathan Papelbon did the same in the 9th. 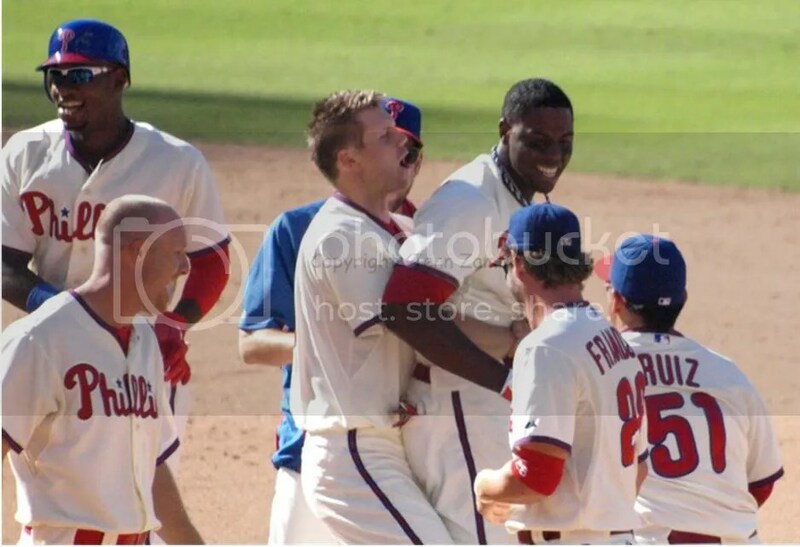 But when they finally got to the 11th and put in Aumont, that was pretty much the end of the game as he gave up a walk and then a 2-run homer to the Mets. 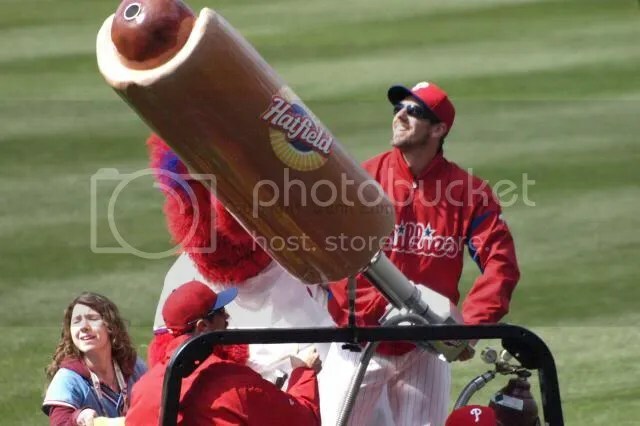 Aumont has been a head case from Day 1; he has been up and down to the majors a few times in the past 2 years and staff have complained that he does not take direction well. In addition, he cannot throw strikes and this year, had walked nearly a batter every inning in Triple-A. If this is the best guy the Phillies had in the minors to bring up, this organization is in deep trouble. The Phillies will now lose this series to the Mets even with 1 game remaining and they are 6 games below .500, the worst mark of the season. Things are not looking very good, to put it mildly. Here is the full Photo Album from Sunday’s game. The final game with the Mets starts at 7:05pm on Monday.